A European species, collected once in Michigan (H. H. Rusby in 1876, MICH), at Byron (Shiawassee Co.). 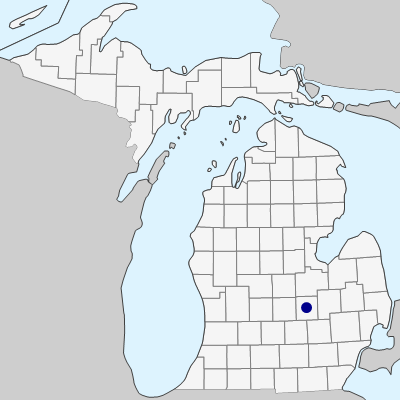 There are also only old collections in Wisconsin and Illinois, so one suspects that the species is no longer to be found in this part of the country. Very similar to M. officinalis in almost every respect, but distinctive in its pubescent fruit; the leaflets are also much more narrow and elongate than is usual for M. officinalis. Fortunately most specimens in this genus have at least a few immature fruits at the base of one or more racemes and the pubescence character is easily checked. MICHIGAN FLORA ONLINE. A. A. Reznicek, E. G. Voss, & B. S. Walters. February 2011. University of Michigan. Web. April 20, 2019. https://michiganflora.net/species.aspx?id=1334.